When Do You Need Tire Chains? Winters in Wisconsin can be pretty brutal, and can make the roads hazardous to drive on. Snow, ice, and rain can make it difficult to keep your vehicle under control, thereby increasing the potential for accidents. Tire chains may be a good temporary solution for drivers in and around Chicago, and can be counted on to provide the traction you need on slippery roads. 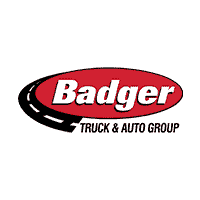 Learn more about when to use tire chains in this guide from Badger Truck & Auto Group. When Should I Use Tire Chains? Tire chains should never be used on dry roads. Do not drive faster than 30 mph when you have chains on your tires. At higher speeds, the chains can fly off, potentially damaging your vehicle, the road surface, and the vehicles around you. Promptly remove the chains when they are no longer needed. Are Tire Chains Legal in Wisconsin? While Wisconsin law does not allow metal to be in contact with the road, tire chains “of reasonable proportions” are allowed when ice, snow, or other winter weather road conditions are present. In certain higher elevations, tire chains may be required. If so, there will be signs posted to this effect. Are Tire Chains Legal in Illinois? Some of our customers have asked us if tire chains are legal in Illinois. The answer is yes, tire chains are legal, but the same restrictions and requirements we have in Wisconsin apply in Illinois. Snow tires or winter tires could be a better solution for some Madison area drivers. These tires have been specifically manufactured to provide traction in all kinds of winter road conditions. They also have the extra added benefit of being perfectly fine to drive on dry roads, so you won’t have to go through the hassle of installing and removing them when the weather changes. Winter driving can pose a number of safety issues, especially if your vehicle has not been properly maintained. It’s a good idea to bring your truck, SUV, or van in to our service center and let our expert technicians make sure it’s ready to face the challenges of winter driving. Schedule an appointment and put our service crew to work for you today, or if you have questions about tire care. If you have any questions, please don’t hesitate to contact us online. 0 comment(s) so far on When Do You Need Tire Chains?